I pressed OK, DSVA received DHCP address but Primary and Secondary DNS server IP addresses were blank. DSVA was rebooted again in a hope that it will get IP addresses properly but after the reboot it lost ALL settings, including the host name and no matter what I tried, configuration could not be saved. Well, it is a good indication that the root partition was full. 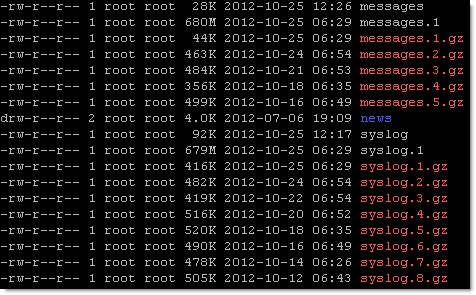 messages.1 and syslog.1 files are enormous! Another battle with Trend Micro Deep Security is won! UPDATE: Trend Micro published this blog post on the Technical Support portal under Solution ID 1095482. Thank you, it is an honour! Great article, i have this exact same issue but when I try to delete the logs (messages.1 and syslog.1) i get a permissions denied error. Do you need to stop some services first before the “rm syslog.1” can delete the files? If so do you know the commands etc? I checked a couple of DSVAs in my environment and none of them have syslog.1 or messages.1 files anymore. When you logged in as ‘dsva’, did you elevate your account to root by running “sudo su”? You should be able to delete syslog.1 and messages.1 files after that. sudo su did the trick! Don’t know why this didn’t work the first time I followed this article, but who cares its working now! Shame all my VM’s are still showing as offline though! Damn DSM!